British stamps are where it all started with the Penny Black stamp in 1840. There is a lot of history and variety with British stamps; there are many stamps to marvel at. British stamps are a great place to start for an individual beginning the hobby of stamp collecting. It really is essential to make sure you get the best value for your money when searching for British stamps. British stamps are where stamp collecting began with the issues of the penny black stamp in 1840. Prior to that momentous date, postage was paid by the receiver rather than the sender and cost much more. 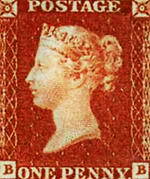 The penny black was replaced quickly due to it being found relatively easy to reuse because the red ink did not show up and could also be washed out. The penny red replaced it; the red color of the stamp made it harder to reuse because the black ink used to cancel it was easier to see and didn't wash out as easy. Both these stamps had a picture of Queen Victoria's head on either black (penny black) or red (penny red) background and cost a penny. 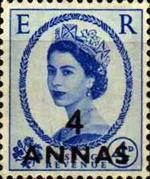 British stamps are unusual in that they do not have the country's name on the stamp to depict the country of origin; they use the reigning monarch's head instead. Finding British Stamps - Where can I find a list of ALL British Commemorative stamps issued since 1924 up to the present date? A good place to start is Stanley Gibbons' Collect British Stamps, which does give you all the list of commemorative stamps and the Stanley Gibbons' 'value'. Stanley Gibbons also produces a concise catalogue that gives some extra detail on definitives. As the value of stamps depends on condition and also on what someone is willing to pay for them, you may also want to look at British Stamp Market Values 2007 from the publishers of Stamp. Sorry, I do not have an ISBN, but a good bookshop should be able to help you. The values in this book seem to be more realistic. One more approach is to try a stamp identification application to search your stamp over the Internet and check its auction values.